Excellent alternative rock with shades of rockabilly. 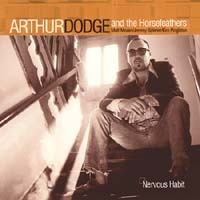 Dodge is a master songsmith, revealing vivid and pained descriptions of relationships gone awry. The sound is wide-open and natural, having been recorded in the sanctuary of Blue Heaven Studios. Take a chance on this one. You won't be disappointed.